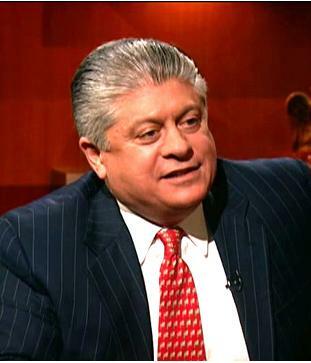 Judge Andrew Napolitano is awesome. He is a great speaker and he is a great American trying to help all of us know that our liberty and freedoms are fragile and greedy men and women are ready if we let them to take them from us. They have been doing well while we have slept. Now that more and more of us are awake, our duty is to not let them rob us from another iota of freedom. If they are for it, be against it. if they are for it, it feeds their greed. If they are for it, we are paying for it. It's time to serve them all their eviction notices in shame, as shameful creatures they are. Let's start with the appointed Senate Seat in New York now held by Kirsten Gillibrand. Then, let's bring it on all around the nation -- throw all the bums out! When it is our turn, let's make sure Harry Reid's minions, and Nancy Pelosi's new choir boys, also get their pink slips. And then working our way back tothe Northeast, we get to send Bobby "sorta pro-life Obama or bust" Casey back to Scranton for early retirement. Give them all the "F" grades, which they deserve and send them home.